I stampers, I made this beautiful sparkly Snowflake Medallion using the new Cutting Edge File from Sparkle N Sprinkle, and this week it is free! It makes cutting out all those layers sooooo easy!! And I love the fact that all those little holes are cut out to give it even more detail. 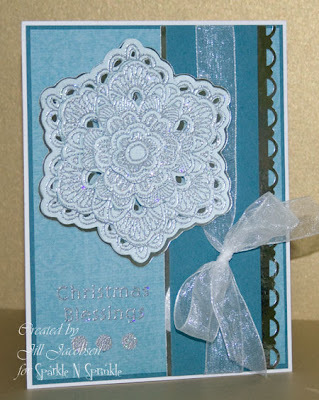 Then I embossed them with Silver Lightening and layered it on Silver Mirror Card stock and wow...it really sparkles. 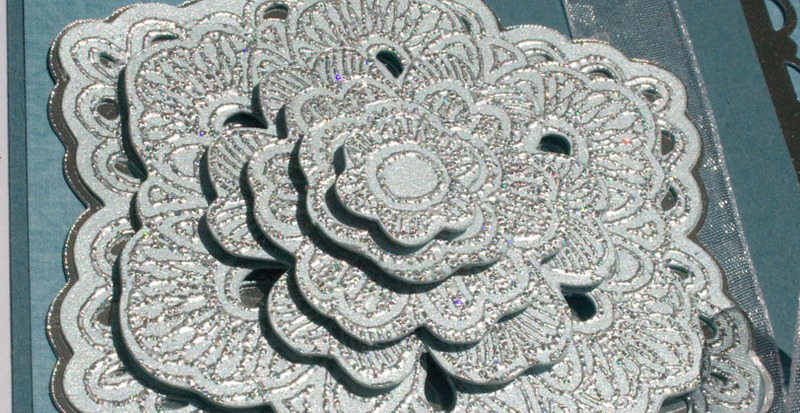 When you use mirror card stock it just reflexes all the sparkles! I also made a video on what a Cut File is and how to use one with the Pazzles Inspiration...you can view it here. Here are a couple of close up views of the detail. Love those layers, this is stunning! Jill, your medallion is lovely. Great card.